It’s been quite a week. As I mentioned in a previous blog post, one of my New Year’s resolutions is to complete a “Real Food” cleanse: No refined grains, refined or artificial sweeteners, or store-bought food items containing more than five ingredients for 10 days. Oh, and no alcohol or caffeine either. I’ve just completed day three, and so far the cleanse hasn’t been too terrible. I am not much of a dessert eater, so giving up refined sugar in sweets hasn’t been too taxing. Hidden sugar can be tricky, though. For example, mustard contains sugar. Mustard! Who knew? I love my fancy mustards, and can tell you firsthand that without them, a lunch of roast beef on whole grain bread – three days in a row — is pretty bland, especially when you can’t chase it down with a bag of Cheetos or a side of curly fries. Forgoing caffeine… Well, that’s been really rough. I am only now regaining most of my faculties after the most brutal caffeine withdrawal I’ve ever experienced: Blinding headache, chills and overwhelming nausea that nearly sent me running for the Red Bull. I don’t even LIKE Red Bull. Thankfully, I am clawing my way back to the land of the living, just in time to take in two riveting sports stories: The wheels blowing off the Lance Armstrong P.R. bus, and Manti Te’o whodunit saga. 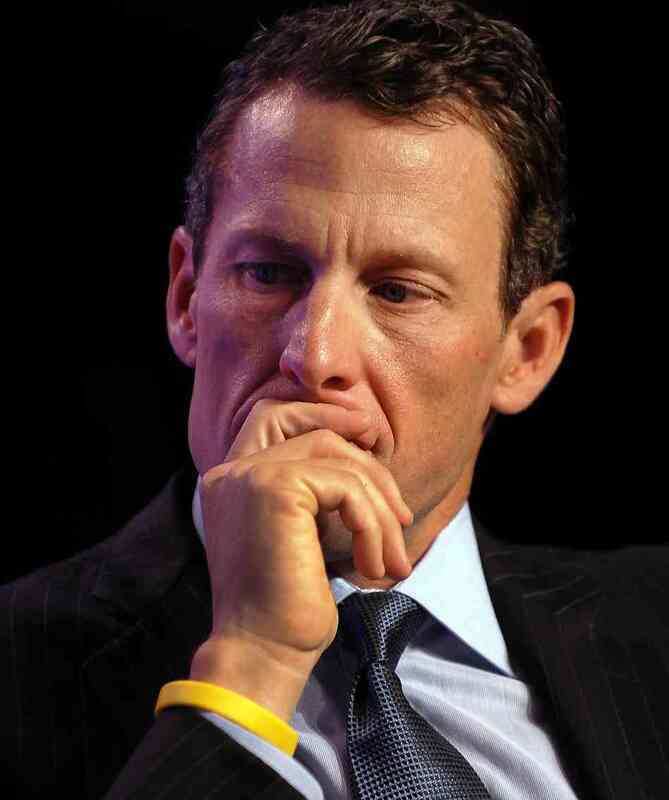 Armstrong’s decision to come clean (pun intended) tomorrow on Oprah’s Next Chapter is fascinating, and I will be watching it, recording it, and hopefully blogging about it. Does he really think he’s still in control of the narrative? How far will he go with his admissions of doping, and will anyone believe him? The story of Manti Te’o’s dead-girlfriend-who-wasn’t just emerged today. Wow. It’s going to take a lot more than an Oprah Winfrey interview to sort that one out. Is Te’o just a dumb, gullible jock who fell for a cruel hoax, and if so who was behind it? Or is he an opportunistic publicity seeker who helped fabricate “Lennay Kekua”, to boost his image leading up to the NFL draft? So much sporting news to keep track of, and react to — all without the benefit of performance enhancing caffeine. Can I do it? In seven days, all will be revealed. Stay tuned! Lance Armstrong, Git On Yer Bike!